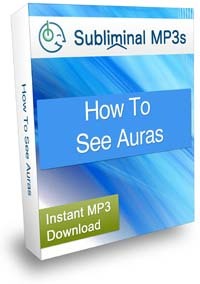 Develop your ability to see auras with this powerful subliminal mp3. Do you have an interest in learning to see auras but not sure how to go about it? Do you want to fine tune your extrasensory perception? Do you want to develop the ability to see auras to improve your ability to read and sense other people? This album works to help you to open up your senses and expand your awareness so you can develop the ability to see auras. Seeing auras, which is a fascinating ability to see colors in the form of energy, is something many people have the ability to do, but it is not a skill you are either born with or without, you too can have the same ability to sense and read aura energy. 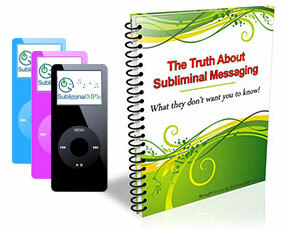 The messages on this subliminal album work to do exactly this - to help to change the way your mind works, the way it sees the world and processes the energy around you - so that you can develop the ability to see auras just like these other people can. It will change your thought processes so that you will start to see the world differently. It will increase your intuition and put you in touch with the energy around you. It will slowly change the way your mind works and align your mind to this way of seeing the world. You will gradually become more aware and perceptive and eventually develop an extrasensory perception and the ability to sense and see people’s auras. Your extrasensory perception will develop giving you a whole new level of awareness and enhance the way you perceive and process information. As you continue to listen you will feel things changing within your mind and find yourself looking at people in a different way - more sensing than just looking and gradually you will find yourself being able to read their energy and see auras. The ability to read auras is a skill which will help you in all areas of your life, socially and professionally. You will be able to read people’s energy accurately. You will be able to see if they are troubled, or at peace, or happy. You will be able to know who needs you help and why - you will be so much more in touch and more able to help other people. You will become a better judge of character.You will see the good in people.. or the bad.. You will see if people are genuine, or hiding something from you. You will see if people are honest and pure of intention and this skill will be invaluable in determining who you associate with and involve in your life. You will learn more about yourself. You will be able to read and see your own energy. You will be able to see exactly how other activities and external events affect you - and this will put you more in control of your life, giving you the ability to avoid negative people and events and live a happier life, a more balanced life. Enahnce your mind and your ability to see auras and learn a skill which will help you in all areas of your life! This album is part of our psychic abilities range, it is just one of several metaphysical albums which can give you additional support in enhancing your extra sensory perception.